Pmang finally released new information last month and it was a big sigh of relief for me to know the project was still in the works. This week, Pmang drops a new trailer of Kone, the Wolf King’s transformation. I did my best to Google Translate; apologies up front! Major boss battles may often use transformation techniques. Transformation processes look great as the fight nears an end. Graphics rendering technology has been designed to allow “transforming”. Since the early days, there were many twists and turns to this tech. A movie like “Transformers” show robots in the process of transforming; this example helps players understand what’s happening to the monsters. BLESS’ superior graphics render maximum benefits via DirectX 11. This is the nation’s first use of this technology in an online game. Of course, this has been used previously in some existing console games, but this is the first case for a domestic online game. Through a combination of the above techniques, transformations can be created instantly for monsters and characters. After transforming the look as a show only, the transformation process can create a new and interesting experience for the player. This is my attempt at reading Google Translate’s interpretation of the article Pmang offered this week describing all the classes and their initial lore. As many of the devs came from TERA, NCSoft, and AION, I drew comparison to the classes in those games as well. They’ve only provided images for the first four classes (sorry! ), but the rest of the classes can be seen in The Siege video. Armed with sword and shield, Guardians on the battlefield are always in the front lines. Their indomitable fighting spirit prevents attacks, closing the gap with their blows. Excelling at tactics, Guardians provide opportunities for their allies. They seek honor and glory, but sacrifice is the most important virtue. Their origins are from the Imperial Heavy Infantry. Now, each winter, to symbolize the Holy Empire of the Knights, they pay homage to the tree of life, just as the original Legion Knights of the Navarra Sun did. Their origins are also from the Imperial Heavy Infantry. Now, each winter, to symbolize the Holy Empire of the Knights, they pay homage to the tree of life, just as the original Legion Knights of the Navarra Sun did. Berserkers are the perfect example of a threat on the battlefield. Even the Imperial Family acknowledges their prowess. Today, the continent’s most famous Berserker is Bran Draco, the leader of the Pantera group known as the Lupus Canine Patrol, lead by Bran Draco. Throughout the civilized world, Berserkers are usually mercenaries and adventurers, though many do seek guilds to demonstrate their abilities and seek vendettas. The Paladin combines the dance of a warrior and priest. The Paladin uses a mace and shield to defend himself and divine magic to heal and revive friends. With so many different talents, they can strengthen their family’s ability to fight. Paladins with divine power destroy the undead and fiends. Paladins came to light immediately after the destruction of the Dark Ages. As a weapon against an invasive species, Paladins defend temples and monasteries during a time when the entire civilization was in darkness. Today, the church is divided into two parts: the paradise of the Empire Knights where prestige is important and the Temple Brotherhood seeking to be part of the elite troops. Rangers track and spy, wander the wilderness, and can ambush patrols. They use bows as a primary weapon because they find their enemies first and gaining victory is a certain outcome. They can deal a major blow to enemies before they’re even aware of the Ranger. Rangers use landmarks and terrain obstacles to maximize on favorable conditions and pitfalls, also using traps and other means to dominate their foes. Rangers have a deep and powerful organization and excel at being archers and experienced scouts. Assassins are ruthless and exist only to take an opponent’s life. They acquire considerable knowledge of poisons and anatomy, secretly appearing behind an enemy and driving home their daggers into the underbelly. One on one, they have amazing agility and are easily able to doge attacks and close gaps with deadly aim. History tells us many nobles and princes have met their deaths under mysterious circumstances when they have opposed the Emperor. A story handed down over generations tells of an assassin who uses a silver mask to disguise his identity. He’s known only as the Grande Guardian Assassin and he instills fear in the hearts of every ruler. “The essence of magic and the logic of knowledge are only temporary mysteries. Magical phenomenon are the result of certain causal relationships. Mages across the world dedicate their lives to studying structures and relationships between them and universal laws. They acquire the knowledge to manipulate water, fire, wind, and earth, and can conjure even natural phenomena such as lightning and blizzards. Mages combine their knowledge to be formidable in combat. Originally, only the Elves had discovered magic and it became their exclusive property. The most powerful Elven mage was named Yamalo. However, after the fall of the Elves over a millenia ago, magic spread to other powerful species – even including Humans. Today, the most profound library of knowledge can be found in the El Llano El Gras. It is there the Guardians of the Ancient Order seek to research and create new spells. Warlocks summon demons from other dimensions as an extension of their arms. For many, it’s akin to dogs moving freely like one person. Warlocks then become a small but powerful army. Summoning demons from a hell dimension brings fear to the mundane. Warlocks also apply technology to control and guide their pets, allowing their pets to psychologically attack the Warlock’s enemies. Warlocks are shunned from many species because of the transmitting that occurs and are often exiled from their own races. To this day, the “Devil” stories about Warlocks drift even to children, bringing horror and fear. The origins of spirit summoning Mystics is still a mystery. Mystics are able to temporarily summon spirits of various properties, harnessing the pure energy of nature. The spirits can attack, defend, heal, and offers balance in all things. Since they require a focus, each spirit can only do one thing at a time. In this way, Mystics require strategic judgement to know which spirit to summon and when. Mystic traditions pre-exist academic knowledge, but are found primarily among the older species. The systemic evolution of Mystics came out with Elven technology, though communication with spirits is something native to the Pantera. Even Sirens can commune with nature spirits as part of their faith. 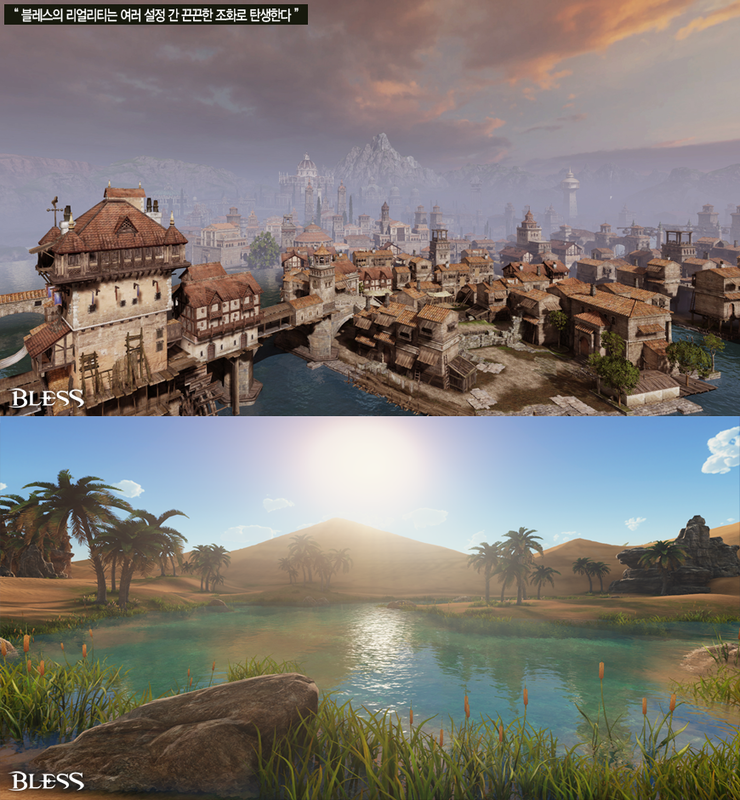 At G-Star 2012, the BLESS developers mentioned we should expect their closed beta to begin the “first half of 2013”. A few months went by, no one in the community had heard any rumblings of a closed beta, and folks began to fear the worst because their parent company had just announced major layoffs. This week, 10 months after G-Star 2012, Pmang launched a raft of new updates to the BLESS website, including dozens of new screencaps and concept art, a new video, new “behind the scenes development” article, and new information about classes, races, and the overall game. As someone who’s been following the game for nearly a year, I was shocked and excited. The official site is in Korean, but you can get the gist of everything thanks to Google. The game is the most gorgeous I’ve seen and, hell, who doesn’t want to ride a dragon and participate in fortress battles? 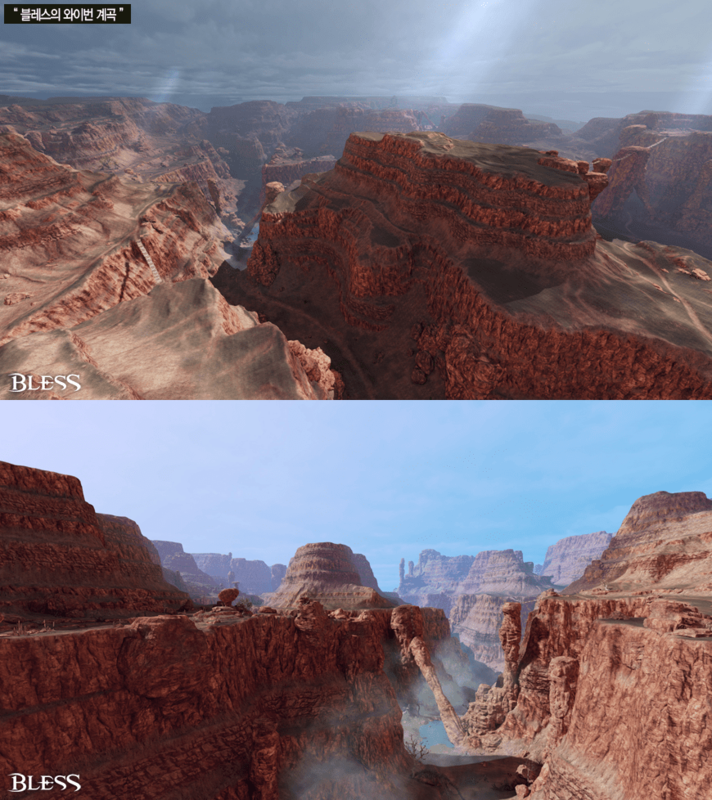 All game updates, including mechanics and other content, are being tracked over at BLESS on GuildLaunch or on Bless-Source.com, the US fan forums. 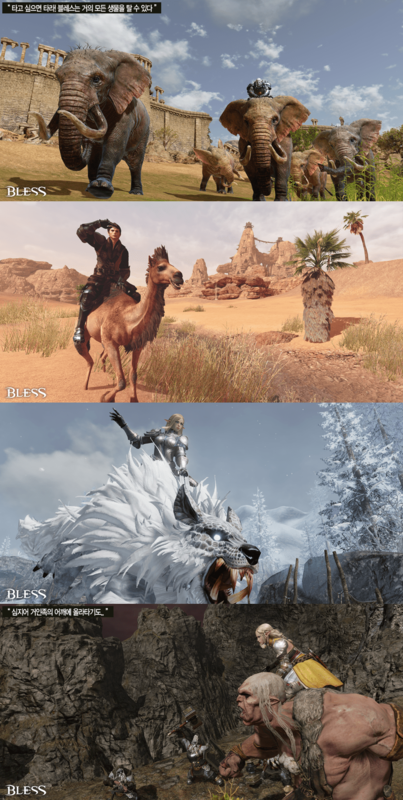 For now, take a look at a few of the screencaps and two of the BLESS videos.